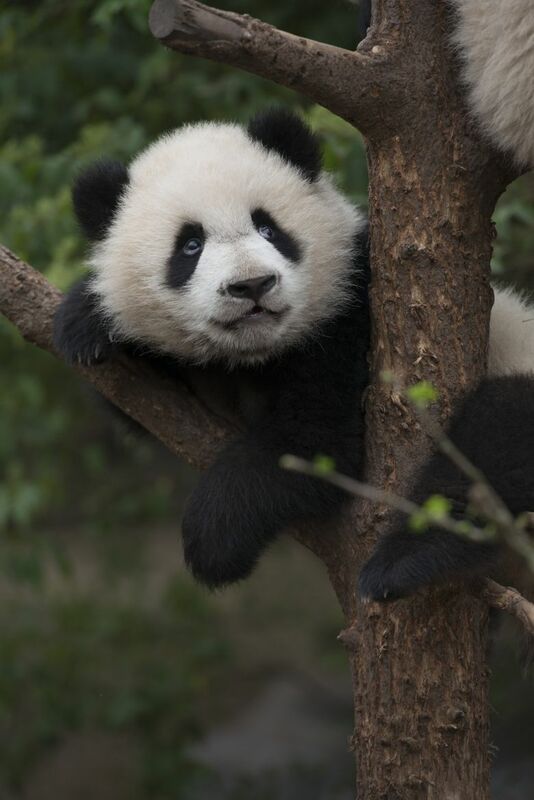 The delightful “Pandas” is about as perfect as IMAX nature documentaries can get: informative, family-friendly, beautifully and immersively photographed, and with adorable subjects. Rating: 4 stars out of 4. The delightful “Pandas” is about as perfect as IMAX nature documentaries can get: informative, family-friendly, beautifully and immersively photographed, and so adorable that my scribbled screening notes are full of trenchant observations like “SO FUZZY!” It is, natch, about pandas; specifically, a camera-friendly panda named Qian Qian, born in captivity at the Chengdu Research Base of Giant Panda Breeding and ultimately released into the wild mountains outside China’s Liziping Nature Reserve. And yes, there are baby pandas, lots of them; toddling around like monochrome Teletubbies and drinking from bottles and sleeping together in furry heaps. But among all the cuteness is a poignant story, with some urgency: Narrator Kristen Bell tells us that wild pandas are the oldest and most endangered species of bear, currently numbering fewer than 2,000. The Chengdu program, under the supervision of its director of research Hou Rong, is working to increase those numbers, studying their captive population in order to help save the species from extinction. We watch as Hou Rong visits New Hampshire to meet biologist Ben Kilham, whose Kilham Bear Center has rehabilitated and returned to the wild more than 160 orphaned black bear cubs. (More baby bears! More cuteness!) We meet a 22-year-old black bear, named Squirty (! ), successfully returned to the wild years ago, who still affectionately greets Kilham on his visits to the forest. And, back in China, we watch as Qian Qian gradually learns to be more independent, and acquires the skills she needs to live on her own. All of this isn’t entirely rose-colored — there’s a poignant dedication, at the end, to another panda who didn’t survive relocation — but “Pandas” leaves its viewer newly educated, filled with hope, and dazzled. In one shot, we see autumn leaves blowing through trees as the camera breezes along, catching a glimpse of a group of bears on adjacent branches, seemingly enjoying the day. It’s as if we’re in the trees with them, swatting flies away, lost in a world we’d never otherwise know. Movies aren’t really magic, but sometimes you wonder. 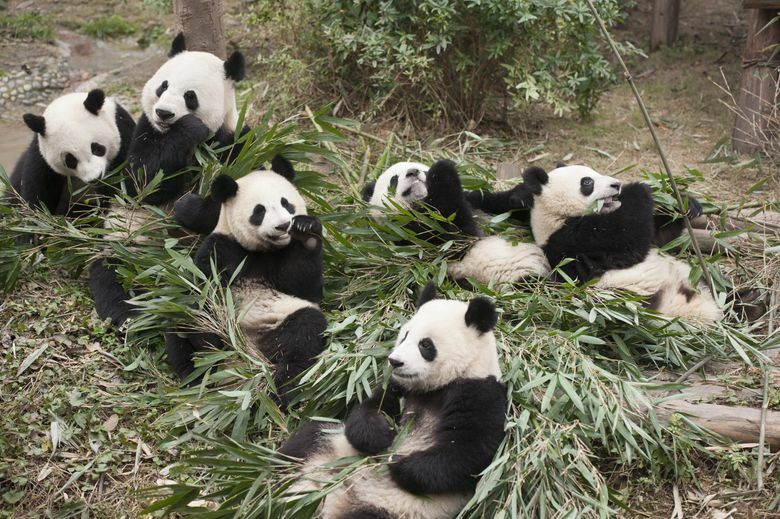 ★★★★ “Pandas,” an IMAX documentary directed by David Douglas and Drew Fellman. 45 minutes. Rated G. Opens April 6 at Boeing IMAX Theater at Pacific Science Center.